Please note the prices quoted are a per lens price. Therefore if you need a Lens Tint for both eyes for example please add two to your basket. Your lenses come with clear lenses which is generally the best option for all round use but we can offer grey or brown lenses instead. Grey or brown lenses are just like sunglasses which is clearly very good for bright sunny days, but also if you want your new safety glasses to double up as sunglasses! Polarised lenses remove some of the glare from the sun on reflective surfaces like the sea, wet roads and glass. They are especially popular for marine use to help see underwater objects. Everyone will benefit from this extra but since they are made using special crystals within the lens, they are quite expensive! You could benefit from having these Multi Anti Reflective (MAR) lenses to help your vision by reducing distracting reflections but not impairing your eyesight in anyway. They are useful for night driving as well working with VDU equipment such as computers in offices. Improve the vision of your lenses with High Power or High Index lenses designed to work for those with a high power prescription. As well as being lighter and thinner they also help to bend light more efficiently. 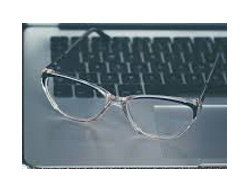 They are especially useful for people that are farsighted and nearsighted. These lenses essentially move the image or object you are viewing to make it easier for your eyes. They are used for conditions such as double vision, positional correction (Not seeing a 3D image in one eye), or convergence correction (both eyes need correcting).